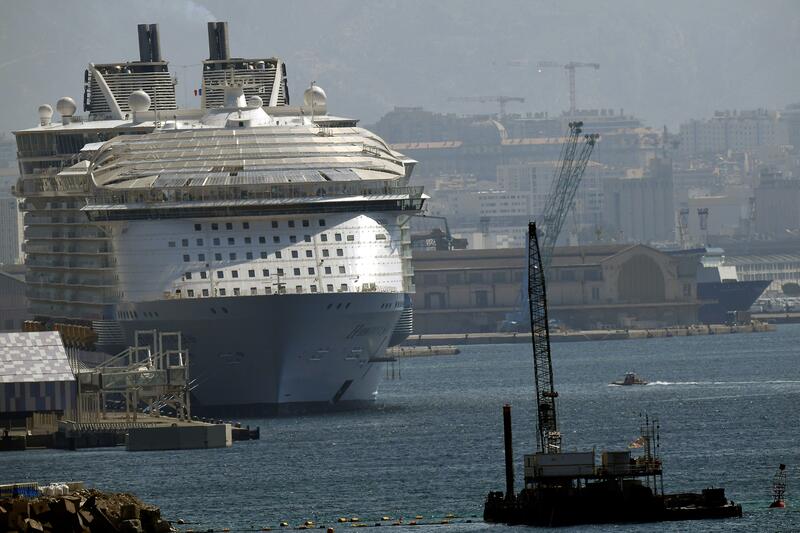 MARSEILLE, France A crewmember on the world’s largest cruise ship died and four others were injured Tuesday when a lifeboat fell from the deck into the water during a rescue drill in Marseille, the operator and officials in the southern French port city said. Julien Ruas, a deputy mayor of Marseille, told The Associated Press that the lifeboat fell 10 meters (33 feet) or so from the fifth deck of the Harmony of the Seas into the sea with the five crewmembers aboard. He identified the dead crewmember as a 42-year-old Filipino. Circumstances of the accident are still unclear. Local naval firefighters told the AP one person died, two were seriously injured and two were more lightly injured. The Miami-based Royal Caribbean cruise line said in a statement that the incident happened while the ship was docked in the port of the Mediterranean city.